Maybe today you are not in a mood to start getting ready an hour early (as always) and do your date night makeup or fun party makeup or birthday bash makeup! That doesn’t mean you have to look unimpressive. When you unstintingly wish to leave house clueless of makeup, come to us & know all about these amazing No-Makeup Makeup Tips for an Absolute Natural Look. Looking for makeup free makeup tips for you? It sounds very confusing, right? Well, let us make it very easy. So you are looking for some tips to enhance your own natural look before you leave for work and for that, you will need a very minimal make-up so that it doesn’t give your make-up a ‘done look’. But the problem arises, as you can’t go out bare faced, as it is not that good for your skin. There are ways, there are techniques and so you should worry about that. Get an idea from these No-Makeup Makeup Tips for an Absolute Natural Look. Before you start your makeup, you should always see that your skin is fresh. If it’s not, then you will have to work out for keeping your skin fresh all the time. You should know that skin cells are mostly made of water and so you should drink a lot of water throughout the day and wash your skin nicely. Keep yourself hydrated all the time and that’s the ultimate mantra. You will also need toning and moisturizing to keep your skin fresh. And yes, before you start makeup you should apply sunscreen all over your face, as the thick layer of makeup is not going to save you this time. Starting the process with healthy moisturizing is preferred since moisturized face doesn’t let your skin go dry and also holds on the concealer & other basic makeup commodities. As you use a heavy foundation all the time, for thick makeups, this time you will be using a tinted moisturizer or a BB cream for creating the base. Wait! There is something more you should know. Instead of applying all these with a makeup brush, you should use your own clean fingers is yet another No-Makeup Makeup Tips for an Absolute Natural Look. No-makeup look doesn’t demand the perfectly flawless skin with zero blemishes. Certainly, we all know the importance of a concealer! You just need to know the No-Makeup Makeup Tips for an Absolute Natural Look according to the shape of your face. Basic way of applying the concealer is triangular shape below the eyes and around the edges; nose, along the chin line or on any other visible blemish that you wish to vanish. The correct way to hide the blemish is not as easy as to simple apply the concealer. You have to first apply a moisturizer as to root out the dryness. Further, dabbing the concealer on the head of pimple or blemish. After you have waited for five minutes, go on tapping on the concealer lightly as to blend it perfectly with the skin tone. 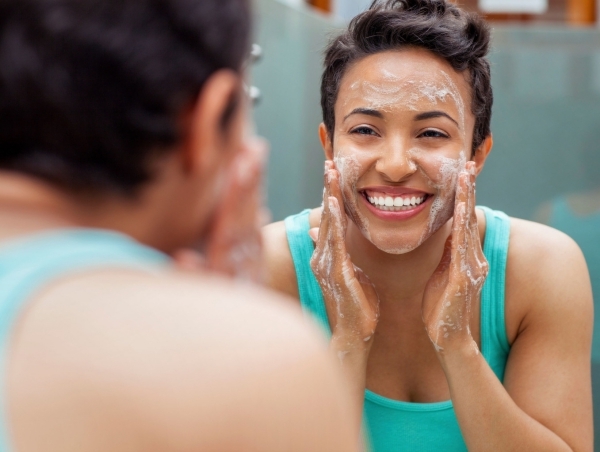 Though, there are natural ways to get rid of blemishes naturally. While makeup, you should think of your skin tones. You will have to find a blush depending on your natural flush. Get the one that matches you the best. Don’t use sparkles and shimmers as that will result in an unnatural look. Ask me and I will prefer using the cream blushes ‘cause they are THE BEST for natural look. Powder blushes are a big “NO” for those who are not a big fan of caked and artificial look. Makeup with brainy tricks? Pick the right thing out of infinite varieties and you will slay the style game. Eyes are the real expressionist and could make you look gorgeous when styled to do so and even horrify others on Halloween and also give a perfectly festive look. Give your eyes a very attracting look with mascara. Give your regular black mascara a break and instead try out brown or dark brown mascara shades to create a contrast. Use cream shadows for the eyelids that are better than the powders. Don’t forget about the natural look and go with skin friendly shades. 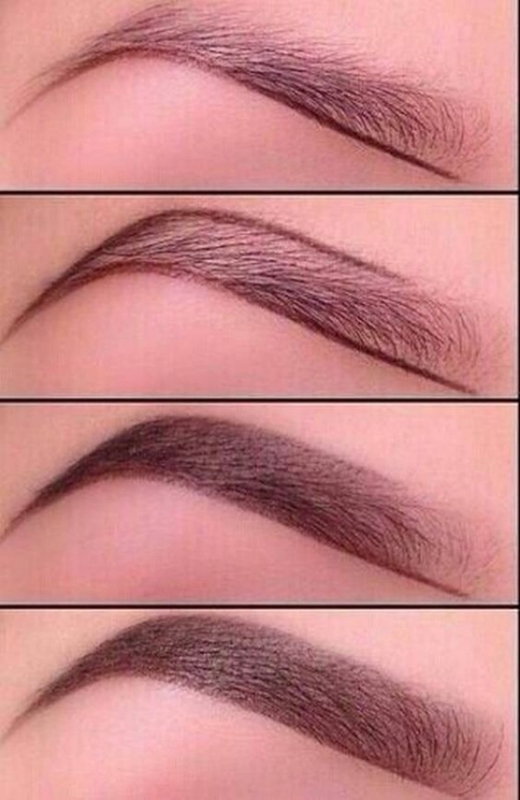 Getting a well-shaped eyebrow is very important to look beautiful. Beauticians say that a perfectly shaped and groomed eyebrow frames your face and pull out your face features into focus. So keep your eyebrow good with an eyebrow enhancing serum. Don’t go with a very bold lipstick, as that will not suit your makeup. Use a matching color lip-gloss that is almost close to the natural color of your lips. These makeup tips for an absolute natural look will completely change your overall look and enhance your own look by dominating the makeup. It’s very hard to keep your whole makeup fresh and intact throughout the day. But the makeup setting spray will help you to look fresh with your makeup. 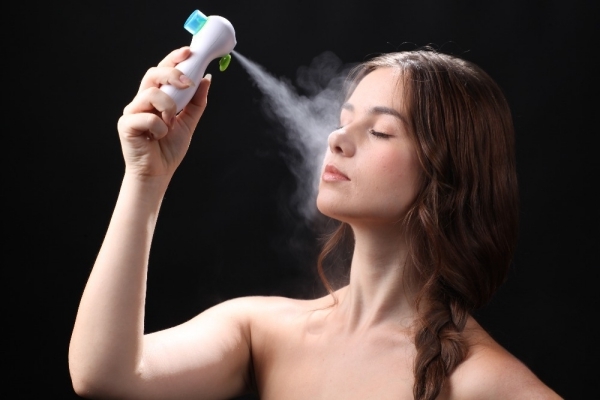 You should mist your skin after the makeup and use it one or two times throughout the day when you need it. It’s time to let your inner beauty glow. Every single woman gets bored of the same old makeup they do regularly. Sometimes it is also important to give importance to your own look. You are beautiful and so you should go by these makeup tips for an absolute natural look. Try it out. Festivals would, undoubtedly, demand some glitter makeup that you may know about here!